After taking a 10-day break from anything knitting, I am refreshed and rejuvenated! I bought Rowan 36 a few days ago and after going through it several times, I decided that this Bloom sweater would be my next project. I love the shaping of it and the fact that it's knit lengthways (a trend I can't seem to get away from lately). Lint is having a sale this weekend and I had to go check it out. I splurged and bought some Felted Tweed since I only need three skeins for the vest. I haven't knit with Rowan yarns in a while and I am excited. 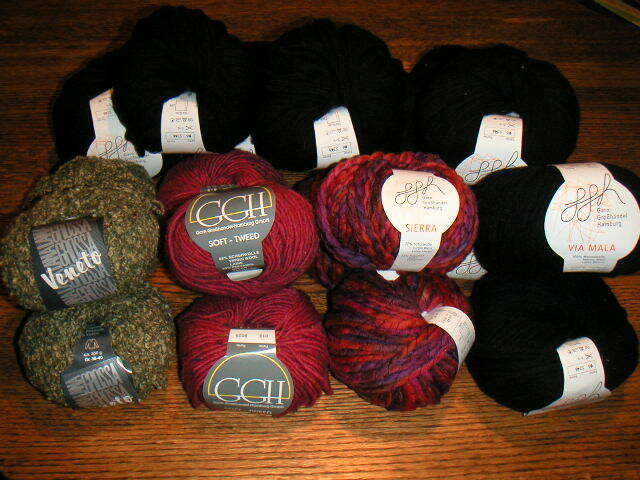 I couldn't resist the 40% off sale prices and quickly filled up my basket with the other yarns that you see. I got 10 skeins of GGH Via Mala, three skeins of GGH Sierra, three skeins of GGH Soft Tweed, and three skeins of Lana Grossa Veneto. 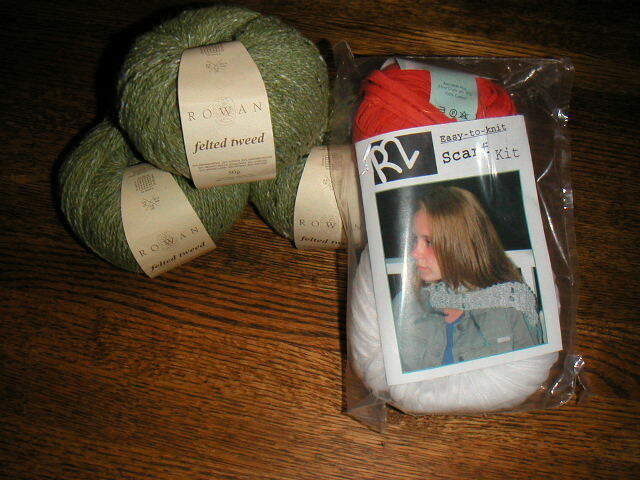 I'm planning to use the Via Mala for the Rowan cape and the rest is for experimenting with some hats and scarves. I saved almost $73 on all that! I also got circular needles, two for one, and since I spent over $50, I got to draw a prize out of a jar and it turned out to be the R2 Scarf Kit. I'm ready to swatch!